Your muffler is an important component of your car’s exhaust system. However, you may not know much about it aside from its name. 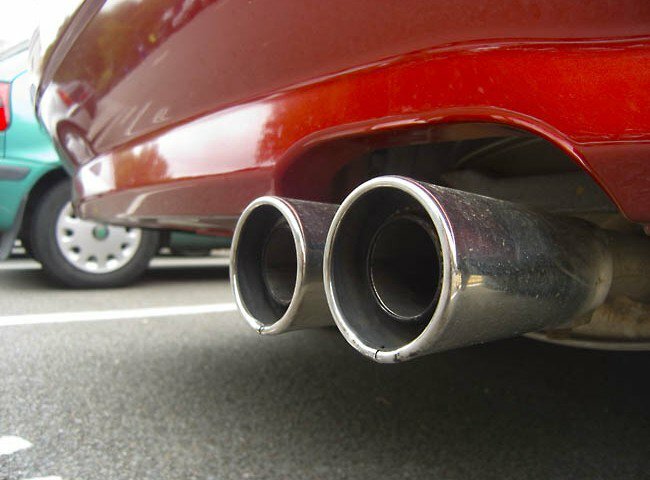 The engine and exhaust system of a car are routed through the muffler in order to reduce the noise they make. Though a muffler itself does not particularly need servicing, your engine and exhaust system needs to be properly maintained. If you are trying to get to the bottom of your car problems, here are a few tips to keep your muffler, engine, and exhaust system intact. Your muffler can be easily damaged while driving. Although this cannot be prevented, it is easy to notice and rather simple to fix. Debris on the road can dent your muffler or even put a hole in it, and water or salt on the road can cause rusting. 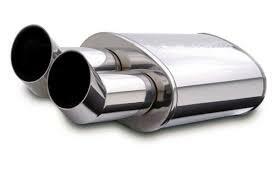 If your car is uncharacteristically noisy while you are driving, you most likely have an issue with the muffler. This should be addressed as quickly as possible in order to fix the problem. The longer you wait, the bigger the problem will get, so be attentive and stay on top of the issue. Another problem indicative of loud, rumbling noises could entail a car exhaust repair. This is far more urgent than physical damage to the muffler and should be brought to the attention of a mechanic immediately. The further you delay a car exhaust repair, the more it will cost. Continuing to drive with an exhaust leak can lead to other problems in your vehicle’s operating system. Don’t ignore the loud noises – have the problem checked out by a professional. You’ll save yourself a lot of money in the long run! While driving, you may notice vibration or loss of power when driving. In this case, make sure to have your exhaust system checked out by a professional. This vibration may be evident in the steering wheel, pedals, or your seat. You also may hear a rumbling sound, which is dependent upon the size of the damaged area. A hole, disconnected exhaust system, or exhaust leak can cause vibrations, but can also signal that the engine is no longer running at optimal efficiency. Noticing that you must fill up your gas tank more frequently than you’re used to? This could be a sign of issues with your exhaust system, as well. When the exhaust leaks, your car’s engine works harder, using more gas. If you have noticed problems with increased fuel use, be sure to get your exhaust system checked out by a professional. Another sign of exhaust system problems is a bad smell. Typically, your muffler funnels exhaust fumes outside and away from the vehicle. If there is a leak or other issue in your exhaust system, the fumes may be stuck in your car. Exhaust fumes can be extremely dangerous or fatal over time. If you are smelling anything out of the ordinary in your vehicle, make sure to bring it to a mechanic as soon as possible. Proactive vehicle maintenance is essential. This is extremely important when it comes to your muffler. Waiting to get your muffler fixed or checked out leads to costly repair bills or small problems that grow larger and large as time goes on. Sometimes, it’s just hard to tell what the problem is with your muffler or engine and exhaust system in your car. Be sure to learn the signs of exhaust system issues and do not overlook any possible maintenance. Keep an eye out for the warning signs and do not hesitate to maintain optimal conditions of all your car’s operational systems.